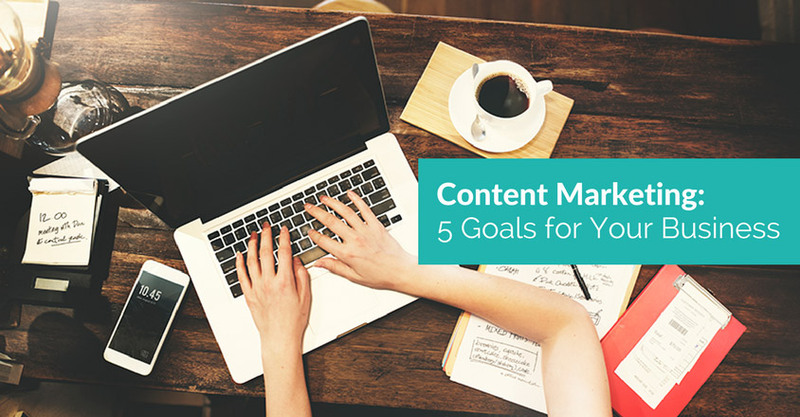 Traffic: One of your main goals with content marketing should be an increase in traffic. You’ll need to get more people interested in your products or services if you want to sell more of them. Create content that helps you get as much traffic as possible. Engagement: Tons of traffic means little if the people who visit your page aren’t really interested in what you have to say. You want to create content that stimulates long, quality interaction. To do this, you’ll need to create content that is not only relevant to the audience you want to engage but also likely to capture and hold its attention. Keep in mind that a good design and layout can help you increase engagement as well. If your layout is crappy, many visitors won’ stick around long enough to read your content. Social Media Success: Social media can help you get the word about your business out there, helping not only to improve visibility and increase traffic but also to boost your reputation. You want to create content that gets more followers, shares, comments, retweets, and likes. Backlinks: Many people, especially those just getting a feel for content marketing, underestimate the importance of backlinks. Others may simply theorize that they aren’t as important as they were in the past. Both of these positions are mistakes. Backlinks are important for two major reasons. First, they help you increase traffic. Second, they help boost your search engine authority, which ensures that more people see your pages in their search results. Of course, backlinks from just any site won’t do. You only want links from reputable sites. Conversions: Ultimately, you want content that helps you convert your traffic. Keep in mind, however, that this doesn’t always mean sales conversions. 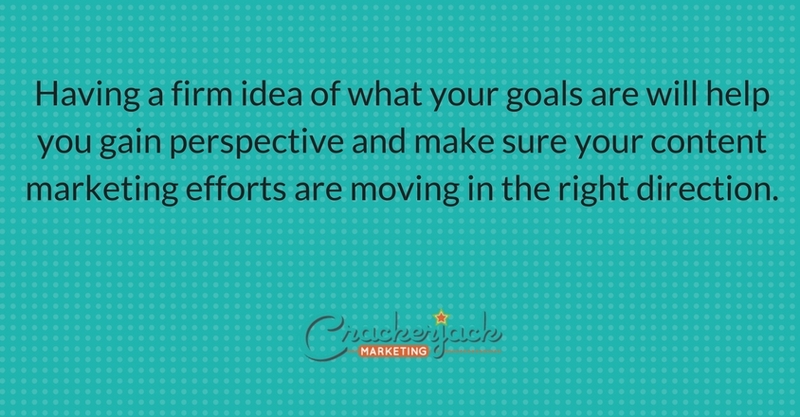 Often, you are directing your visitors towards another action instead. For example, you may want visitors to sign up for your newsletter or online course. Well-crafted calls to action help. 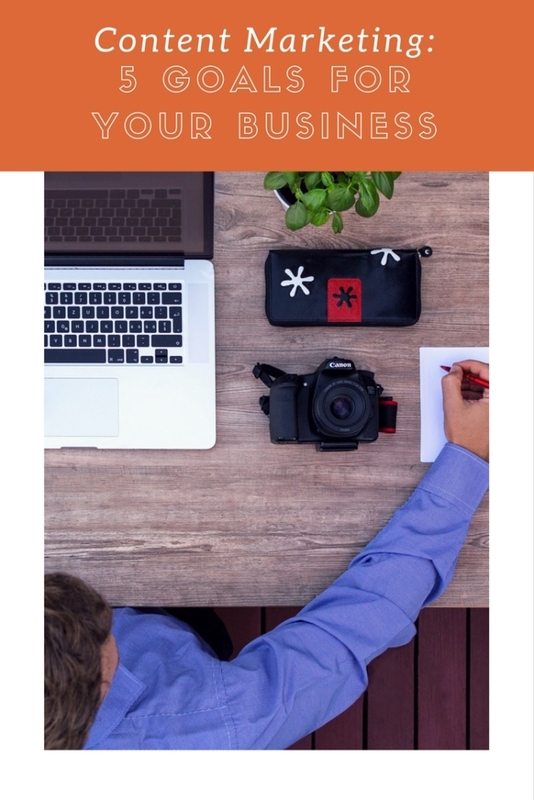 Keep these goals in mind as you create content for your business. And be sure to track your results. Monitoring what works and what doesn’t can help you decide how to proceed going forward.